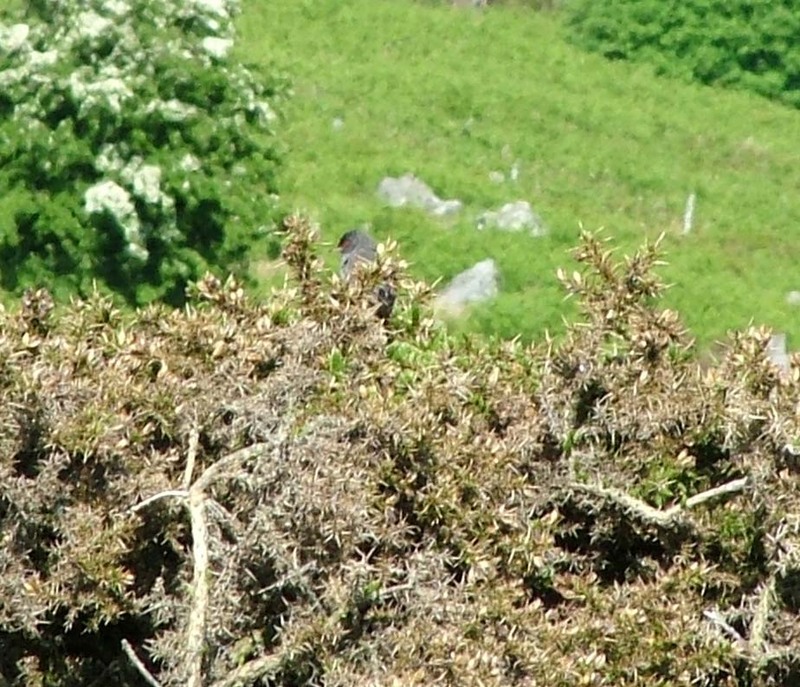 We were in Wales on Saturday, which gave me the rare opportunity to go and see a rare bird. I had a choice. It was either an Iberian Chiffchaff that was closer by but hard to find or a mega that Birdguides had named as its Bird of the Week, which was north of Pontypool at a place called the Blorenge. Obviously I chose the latter. 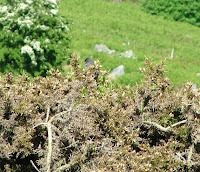 Once I found the site on a gloriously sunny afternoon the bird was easy to find. Within five minutes I had seen my first MARMORA'S WARBLER. This bird has only ever been recorded in Britain four times before, and what made it even better was that it was far from shy to show itself. From a small car park about half a mile down the hill from a pair of radio masts, the bird liked to do a circuit where it flew from a holly bush about 150 metres away to a gorse bush by the side of the road. It also liked to sing often too, so it gave great views close up. I stayed for about an hour to enjoy this little show-off with about ten other enthusiasts before making my way back. While I was there I also had great views of a couple of Whinchat, as well as numerous Tree Pipit. Well worth the visit.